Services: COMPLETE TRAILER REPAIR | Roadside Trailer Services Inc. 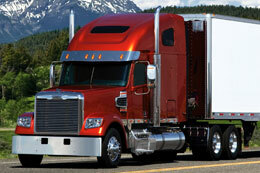 Roadside Trailer Services provides quality work and has a superior turn around time on our shop work. Your satisfaction is, and always has been, our top priority. We feel confident that if you give us a try, you will see what a difference we can make to your company. Regular shop hours are from 7:00am to 3:30pm. We strive to return downed units to service ASAP with the minimum cost. Scheduling of trailers to be repaired in our shop helps insure fast turn around. When you have a trailer that has been approved to be repaired we can let you know when we will be able to get it into our shop and our expected time of completion.